Hello friends, welcome again. Today I am going review “How to hack Facebook accounts or passwords.” In my previous articles “how to hack email accounts” and “how to hack Gmail password or accounts,” I showed you the three methods to hacking any email account, as well as ways specific to Gmail. Today I am going to share the similar technique to hack Facebook account. Today I will share with you the latest approach to hacking Facebook passwords or accounts i.e “smart phishing with email trap.” A smart phishing trap ratio above 70% means that at least 70% of people will come into your trap. A success ratio of 100% means you have total control over the accounts. Normal phishing is a technique used to hack passwords by fooling the victim into logging into particular website using your phish, or fake page. Normal phishing is easily detectable, but smart phishing with an email trap is almost undetectable. I will show you how. In smart phishing, we send HTML emails to the victim with the same header as that of original emails from an email address similar to the original one; then we ask the user to join a group, or watch a video, or read a comment, etc. Then, it looks like the user has to enter their password, giving us the information we need. We exploit the fact that most Facebook users receive notifications about what they’re friends are doing. 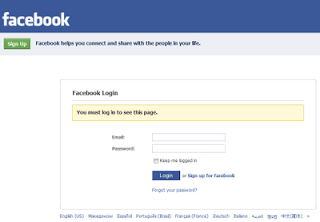 How to Hack Facebook Passwords or Accounts? 1. First, download the Facebook Phisher. 3. Upload all three files to any free web hosting server. Remember, when creating an account on these servers, try a username as close as possible to the original URL, like “Faccbook” or “Facobook” as this is the most crucial step. Some free web hosting servers are listed below, but there are many other options available. 4. Once you have uploaded all three files to a web hosting server you can send these to your victim. This is the most important step in the smart phishing technique. Below is a sample email that will help you understand how to TRAP you victim effectively. 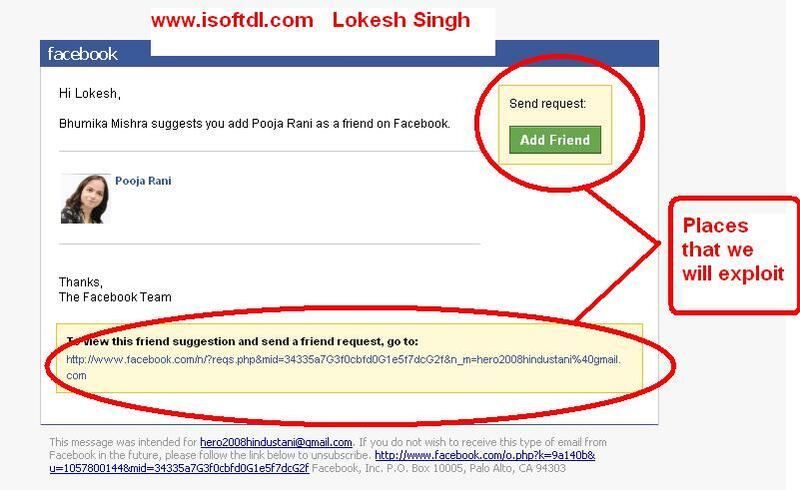 This one comes to your email account from Facebook. Now you have to edit this email. Open the email and click “forward.” This will put the email in editable mode. Remove the forwarded headers so it looks like a clean, original email. Remember the naming convention in Gmail should be a Facebook email account like noreplyfacebook@gmail.com. Now you need to put the fake link of index.html file that you got from uploading the web hosting server in place of two exploit points. Remember, always put the link in href. Try to keep the link as close as possible to the original Facebook link. Similarly, you can use text such as “Join this group on Facebook” or “Watch this video on Facebook” in a similar fashion. 5. Once the user logs in to his Facebook account using your Phisher, his user ID and password are your’s. These are stored in passes.txt; you just need to refresh your web hosting account files. And that’s it! You have now hacked the password of your victim. HOW to Protect Your Facebook Account? 1. Never follow a link from any website or email. 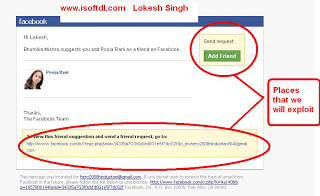 Always open manually at www.facebook.com and then enter your credentials. 2. Always check the URL in the address bar when joining any group. So now you know how to hack Facebook accounts using smart phishing. If you have any queries, post in the comments.